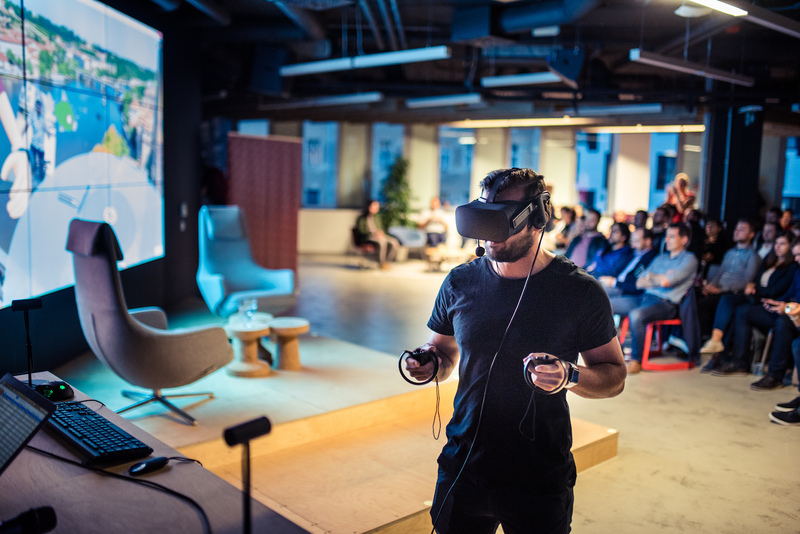 As virtual reality goes more and more mainstream, we decided to open the fall edition of Silicon Valley Insights with a test drive of Facebook Spaces, the social media giant’s new way of connecting people through VR. 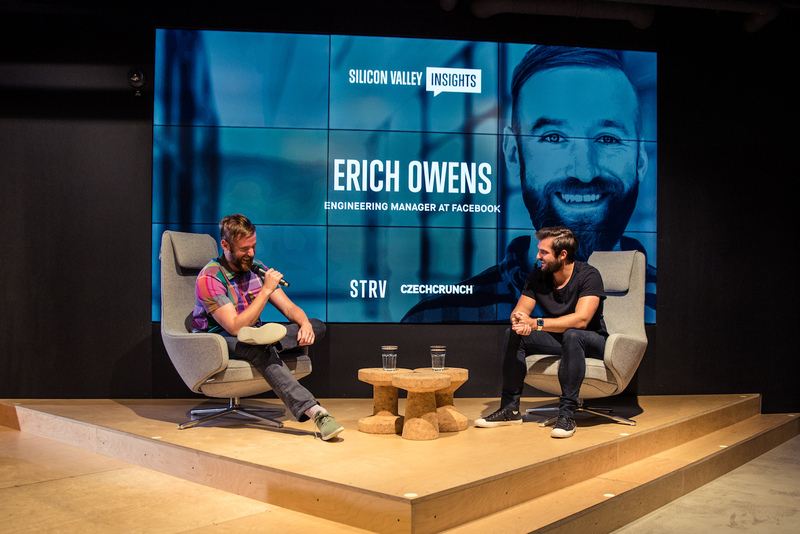 We flew Erich Owens, the engineering manager of Spaces’ Identity Team, responsible for honing the platform’s avatars, in from California to give us a behind-the-scenes look at how Facebook is planning to disrupt the VR world. All that’s need is an Oculus Rift headset. 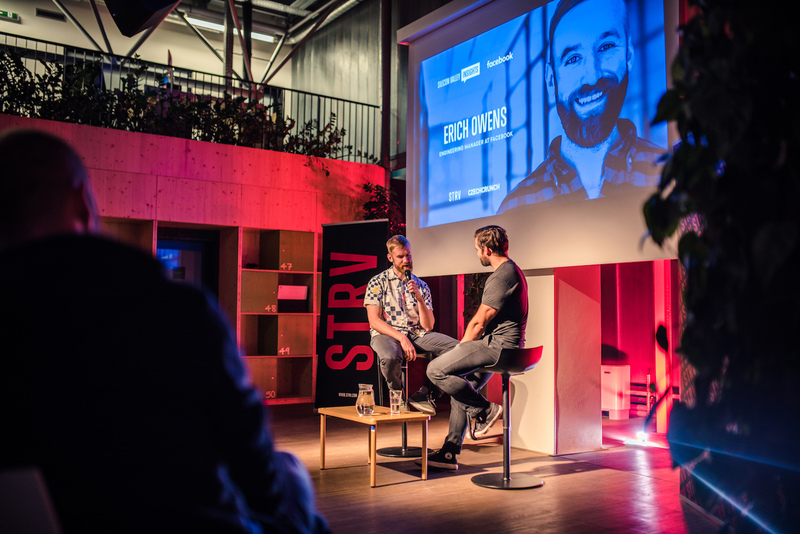 Erich’s surprisingly realistic avatar was the opening star of the evening, giving our audience a virtual tour of Prague’s Mala Strana neighborhood before being joined by STRV COO Lubo Smid for a couple of selfies all within the realm of Facebook Spaces, which is currently in beta. The idea here, explained the real-life Erich as he emerged on stage to take a seat next to Lubo, is to connect people in VR; to make interacting with friends and family more fun and accessible. “We are growing very quickly. We really want to see what it means to connect people in a virtual space. We want to try new things and see where it takes us,” Erich said. When he joined Spaces, the team had just four people. Now, there are 50 people working on the project. “VR wasn’t really a thing customers could buy until really recently,” said Erich. But with the prices of VR devices, like Oculus Rift (which Facebook acquired in 2014), going down, Erich believes public interest will escalate. However, in order to stay relevant, the phenomenon must prove to be useful to the needs of day-to-day life. “People are not going to spend money on something that is only fun for a few hours,” Erich said. For the time being, VR is still very much a novelty, with people buying headsets to enjoy, for example, a roller coaster ride or to fight zombies. But Erich noted that as VR becomes more mobile, the audience will change as well. “I think that is where the momentum is going,” he said. Erich, who studied applied mathematics, joined Facebook in 2013, following prestigious internships with the SLAC National Accelerator Laboratory, operated by Stanford University, and NASA’s Jet Propulsion Laboratory. At Facebook, he’s worked on the News Feed and Comment ranking algorithms. He spent nine months on the Computer Vision team at Oculus Rift and has been part of Facebook’s Social VR + AI/Computer Vision teams since the end of last year. 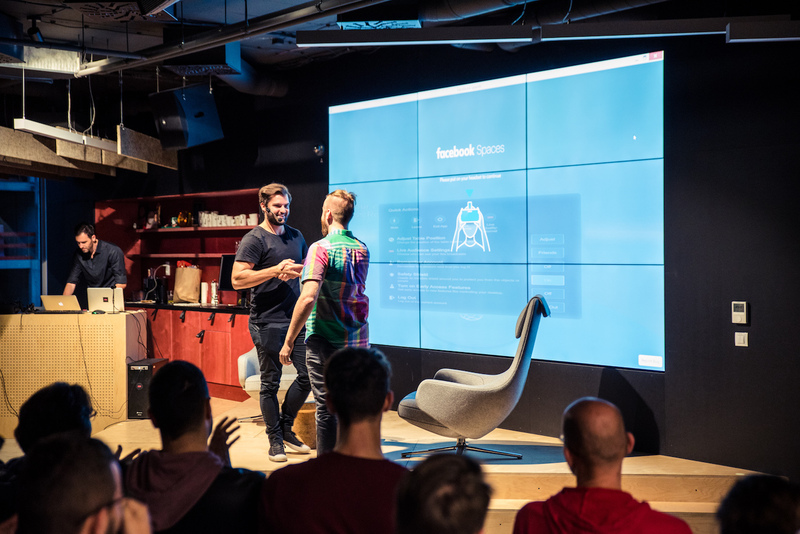 Erich touched on Facebook’s “hacker” culture, where employees are encouraged to take a week off and work on a concept they think would have real potential for the company. Employees also have the opportunity to jump from team to team. “It’s easy to keep things fresh that way,” Erich explained. 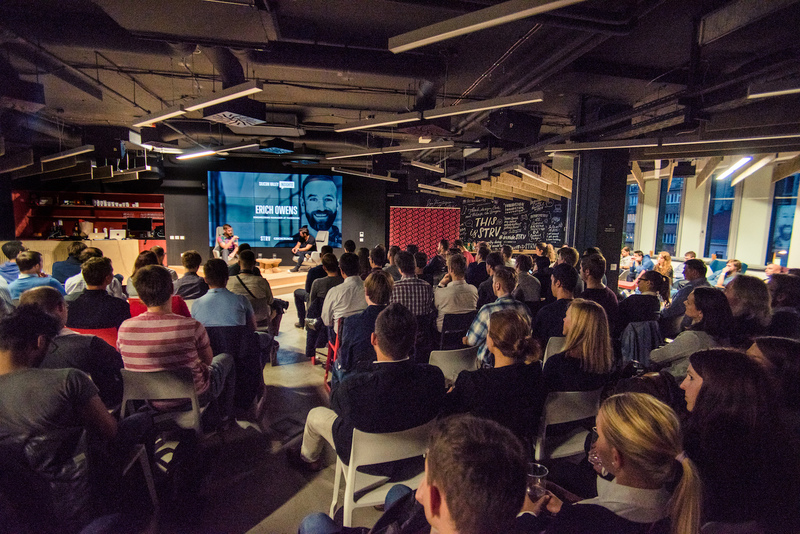 If you liked Erich’s talk, we’ll be hosting another Silicon Valley Insights event in December with a special guest from the reigning top-grossing iOS app in the world. Follow us on Facebook or Twitter for more details or subscribe to our newsletter.